The K1 Dental team is made up of people from a wide range of cultures, ages and walks of life that our patients can relate to. Our team includes dentists, oral hygienists, an oral surgeon and support staff. Each dentist has their own area of specialty so that we can better cater to our patients’ needs. Jaclyn chose to go into dentistry after doing work experience in high school as a dental assistant. She continued to work in this position through high school and university. This invaluable work experience helped her see what a career in dentistry was really like and she loved the dynamic nature of working in a dental practice. Jaclyn graduated from The University of Melbourne with honours in 2009. She has a special interest in root canal treatment and crowns and bridges. She believes in gentle, pain-free dentistry that is patient-focused. “I love interacting with patients and working in a close-knit team. The problem-solving skills required in dentistry keep the job very interesting, and I enjoy helping patients get out of pain or improve their smile. I have an underlying passion for dentistry and helping patients achieve ideal dental health outcomes.” Jaclyn enjoys working with the friendly patients at K1 Dental. She teaches them how to achieve or maintain dental health and provides them with the high-quality dental care they want. 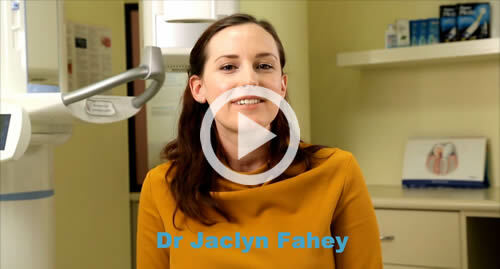 Jaclyn is also a great help to patients with dental anxiety and can help you overcome your fears through positive dental experiences. Her love of food and travel, as well as her great sense of humour make Jaclyn easy for our patients to relate to. When not in the surgery, Jaclyn enjoys cooking, travelling and taking long walks. Book your next appointment to see Jaclyn! Jia chose to go into dentistry because she wanted to work in a team environment with a range of people. She enjoys being able to help patients and improve their quality of life. Sometimes the effects of her work are instant, but she also likes seeing the longer journeys that some patients take to get good dental health and aesthetics. She attended The University of Melbourne to achieve her Bachelor of Dental Science. Jia first started at K1 Dental as a dental assistant on the weekends while studying at university. She livens up the practice with her bubbly personality and unbridled enthusiasm! Jia’s patients often compliment her on her gentleness, attention to detail and efficiency. 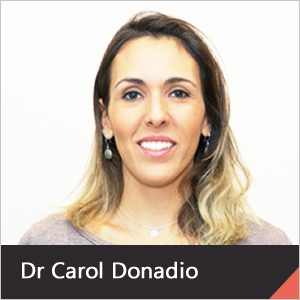 She has a strong focus on a preventative treatment philosophy to help patients achieve optimal long-term dental health. Jia finds dentistry challenging, but her passion for the field endures because she feels it provides a worthwhile contribution to society. Jia specialises in general dentistry, cosmetic dentistry, prosthodontics, endodontics and orthodontics. She is also an accredited Invisalign® provider. To maintain a high standard of patient care, Jia likes to keep up-to-date with continuing professional development courses. Over the years, she has attended numerous courses on a national and international level to keep her on her toes and add to her passion for dentistry. When she’s not working, Jia enjoys travelling, reading, yoga, trying out new recipes and also speaks fluent Mandarin. Jia welcomes you to book your next appointment! 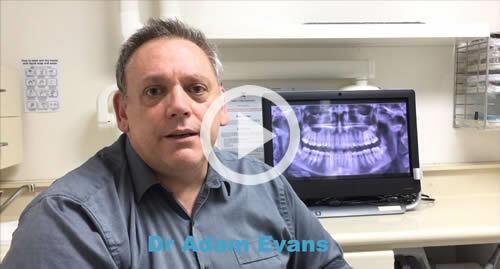 Originally from the UK, Adam brings a wealth of experience from his own cosmetic dental practice and a long career in both public and private dentistry. He relocated to Melbourne with his family in 2009. Prior to joining K1 Dental, he worked in the public sector as a senior dentist at the Dental Hospital. There, he demonstrated clinical dentistry to students at the university. Adam has an interest in all aspects of general dentistry and orthodontics, which he’s been doing since 1991. When he’s not with patients, Adam enjoys a good game of golf and exploring the Dandenong Hills where he lives with his family. Book your next appointment with Adam, he looks forward to meeting you! Naser attained his Bachelor of Dental Surgery (BDS) in 1999. He has a keen interest in oral and jaw surgery, which is his main area of focus. These procedures incorporate implant dentistry, wisdom teeth removal and bone grafting surgery. In addition to his clinical duties, Naser is highly active in dental education and is a member of several examiner panels, including the Australian Dental Council and the Royal Australasian College of Dental Surgeons. Outside of the practice, Naser enjoys the thrills of white water rafting and listening to classical music, particularly the works of Tchaikovsky. Book your appointment now to meet Naser! 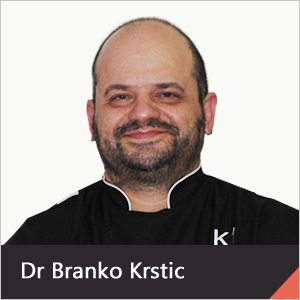 Branko completed his dental degree in Johannesburg, South Africa in 1997. He then moved to the UK where he spent 15 years working in mixed NHS and private practices where he obtained a wealth of experience. Branko completed his implant and sedation training whilst there too and attended extensive postgraduate courses and training. He relocated to Australia in 2012 and prior to joining K1 he worked in a group practice in outer Melbourne suburbs where he was a principal dentist and responsible for mentoring and guiding younger practitioners. In his care he successfully mentored 12 young dentists whilst working there. Branko’s passion are root canal treatments, surgery, veneers, crown and bridge work and complex restorative cases including full mouth reconstructions and smile makeovers. Outside work he is a bit of a foodie and enjoys going out for nice meals, travelling as well as spending time with his family. Kim graduated from Newcastle University with a Bachelor of Oral Health. Kim’s training allows her to provide extensive dental treatment for children as well as periodontal treatment and routine preventative care for adults. Kim is a very gentle and caring oral health hygienist / therapist. She is committed to providing the best oral health care and positive dental experience for all our patients. Book your next appointment with Kim for a nice cleaner smile! Jess has a degree in Bachelor of Oral Health from Melbourne University. After dental assisting for over 8 years and developing a love for all things dental, she decided to expand her abilities and pursue a career as an Oral Health Therapist. Jess is Skilled in hygiene for both adults and children, as well as restorative treatment for people aged 25 and under. Her biggest passion is preventative oral health, ensuring each patient walks out with a healthy mouth and the skills and knowledge to keep it that way. We’re confident you’ll see great results and have a wonderful experience with our caring, knowledgeable team. Hi my name is Amanda, I am a registered dental hygienist at K1 Dental. I have a special interest in preventative dental care, treating mild to moderate periodontal disease and in helping patients achieve their best possible smile through whitening procedures. My scope enables me to see a wide variety of patients including children and adults and I work closely with all of the dentists to achieve the best possible oral health outcomes for our patients. I pride myself on providing a high standard of care, and through evaluation, treatment and education I help my patients achieve optimal oral health and overall health for life. I have been in the dental industry for 16 years. I first began my career as a dental nurse, and it was during this time that I realised my passion for preventative dental care, and my ability to help people reach their best possible level of health and wellbeing. I then went on to further my skills at RMIT university to become a dental hygienist. I am also committed to continued professional development to always ensure best practice and an evidence based approach when providing care to patients. When I don’t have my dental hygienist hat on I love spending time with my husband and our three children. I enjoy travelling, playing guitar and cooking. I very much look forward to meeting you at K1 Dental. Contact our practice today!